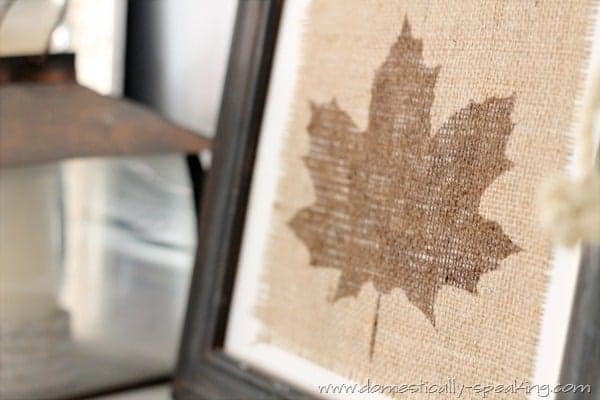 One of the simplest and most budget friendly ways to decorate our homes for Fall is with burlap crafts. There is just something about that rough fabric that reminds me of fall. Maybe it’s the memory from growing up on a farm when brown burlap feed stacks were being filled with corn just combined from the field in the fall. I have gathered some links to help you get inspired to create your own fall crafts. 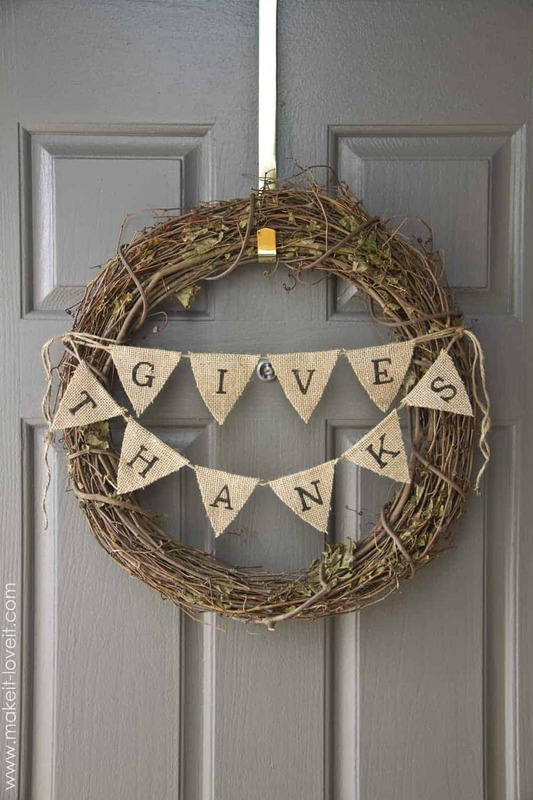 With just a little bit of burlap you can make a really cute wreath that will great your family and guest as soon as they arrive at your door. Click on over to Make It & Love It for a quick and easy tutorial to make a wreath with burlap bunting. 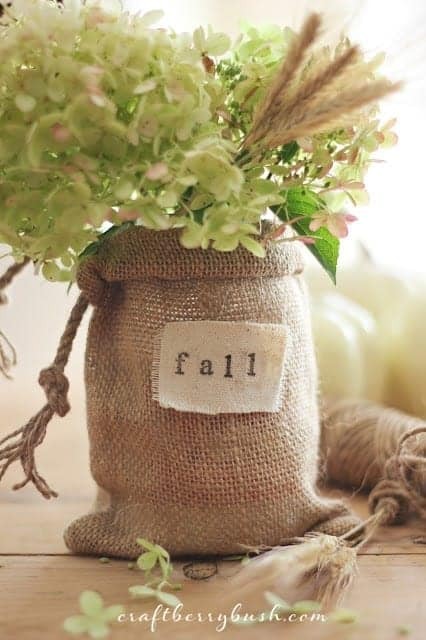 Craftberry Bush has this simple and quick idea of taking burlap bags and slip them over mason jars for cute vases . I’ve seen these bags at the local dollar store and one of my favorite stores, Hobby Lobby. This is also a great post on living life fully so be sure to read all the way through it. 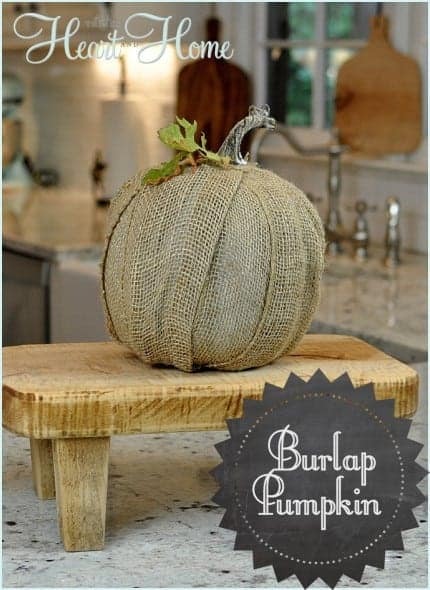 What could say Fall more than burlap and pumpkins. All Things Heart and Home has a detailed step by step tutorial to help make creating the fall craft super easy and fun. If you are looking for something easy yet professional looking for a fall craft for your kids to create then head over to Domestically Speaking. They have a great craft made out of burlap and acrylic paint. You can pick up dollar store frames and make these for your walls or to give as gifts. I hope you have found a few ideas to get your home feeling a little more like Fall. For more Fall crafts, decorating and food ideas be sure and stop by my Fall Pinterest Board.